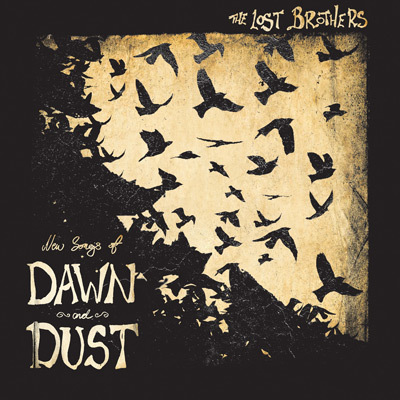 The Lost Brothers 4th album, New Songs Of Dawn and Dust, is the start of something new for the Irish duo. 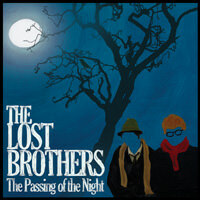 Their previous release, 2012's The Passing Of The Night, was the closing chapter in a trilogy of records that started with their debut album "Trails of the Lonely" in 2008. 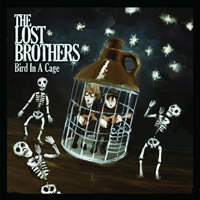 Since forming in Liverpool in 2007 the songwriting duo has chosen to collaborate with other artists on each album, recording in Portland with Mike Coykendall and Adam Selzer, in Sheffield with Richard Hawley's band and in Nashville with Brendan Benson and members of Old Crow Medicine Show and The Cardinals, respectively. So it's somehow fitting the band have returned to Liverpool, to record the first of a new trilogy with Bill Ryder-Jones, solo artist and former guitarist of local heroes The Coral, at the production helm. Recording was scheduled to begin when Ryder-Jones returned from touring as guest guitarist with the Arctic Monkeys. "Everyone was busy so we waited til the stars aligned and then went for it! We felt like we had a dream team of pals to make the album we really wanted." explains Oisin. "We flew in from appearing on Russian national TV in Moscow straight into the studio to record the record". From the 30 songs written on the road, 15 were selected for the studio, recording 12 and 9 appearing on the album with three instrumentals. 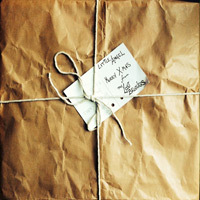 All recorded and mixed in 7 days at Parr Street Studios. It's no surprise that gigs in the last few years with luminaries such as Brendan Benson, The Frames, Billy Bragg, John Prine, Squeeze and, most recently, The Delines have landed them plenty of vocal support from their musical mentors & peers. The duo have also made fans at radio and TV, with appearances & plays on NPR's Mountain Stage in the US and Steve Lamacq, Lauren Laverne, Huey Morgan and Bob Harris in the UK. They have performed on the BBC’s Culture Show and Celtic Connections and on Irish TV's esteemed Other Voices and The Late Late Show. 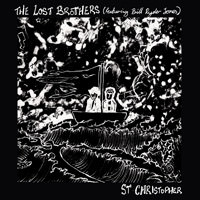 October 2012 saw The Lost Brothers complete an extensive US tour with Glen Hansard and in March 2013 they played the legendary Midnight Ramble at the Levon Helm Studios in Woodstock, followed by the Midnight Ramble Concert For Levon in Texas. The band describe musical influences that range from Ennio Morricone to Jack Nitzsche to Beck, from Chuck Berry to Harry Nilsson, from Sweeney's Men to Van Morrison, from Bob Dylan to Lou Reed and Nick Cave. "This new album steps away from the strictly folk/americana thing and opens up a new door for us," says Oisin. 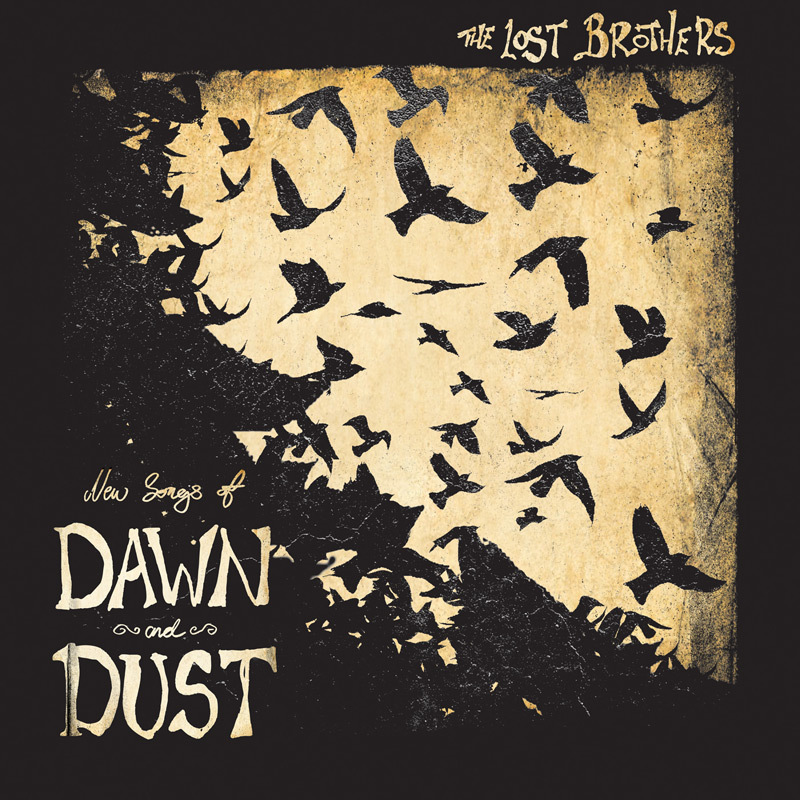 New Songs Of Dawn and Dust will be the duo’s second full length release on Lojinx. The album will be out on CD, LP & digital on September 22nd.